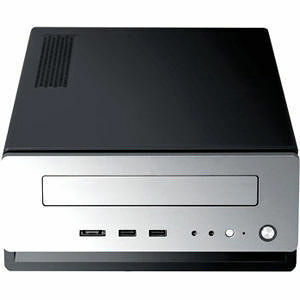 Mini-ITX is the next "big" thing. And now, Antec introduces the ISK 310-150, designed exclusively for Mini-ITX motherboards. With three drive bays, a quiet 80mm TriCool fan, and a 150-watt power supply, the ISK 310-150 can handle many of the tasks of a traditional PC, in a fraction of the space. Plus, its stylish, silver front bezel will fit in perfectly with your existing multimedia components. From petite desktop options to silent home theater, Antec's ISK 310-150 is an epic case of mini proportions.